People like you and me have loaned ONE BILLION DOLLARS through Kiva.org. Now that’s a powerful force for change. When I was young and naïve, an impassioned teacher guided me into an expanded and exciting view of the world around me. In her class, we talked about people of differing cultures, beliefs, and religions. We learned of conflicts in the US, warring nations, refugees, and asylum seekers, and even a little about contrasting political ideologies. We examined how both sides of those in conflict believe in their causes, love their families, and will fight for what they believe. It terrified me to think that so many live in poverty and fear, have little access to healthcare, and enjoy far less food, and clean water. Learning about child marriages, human trafficking and exploitation, the lack of educational access and financial equity, I realized that my experience as a teen in the northeastern United States, afforded me safety and opportunities so many girls and women in the world lack. I wanted to do something. Help someone. Change the world. However, I didn’t know what, being a kid, I could actually do. It nagged at me. I still don’t know what would make the biggest impact on positive change for people in need. I’m working on that! I wanted to get my friends to feel what I do about helping others, to see that life is more than lattes and Netflix. I was thrilled when I discovered that so many teens feel the same way I do about global change. It was empowering, so I decided to start Kiva club with the support of my friends, family, and school. I am hoping that we inform and inspire thousands of people to lend their voices and riches. While in high school, when I wasn’t concentrating on Kiva , I manage a blog, GirlsGo, which supports young women transitioning through this crazy life into adulthood. 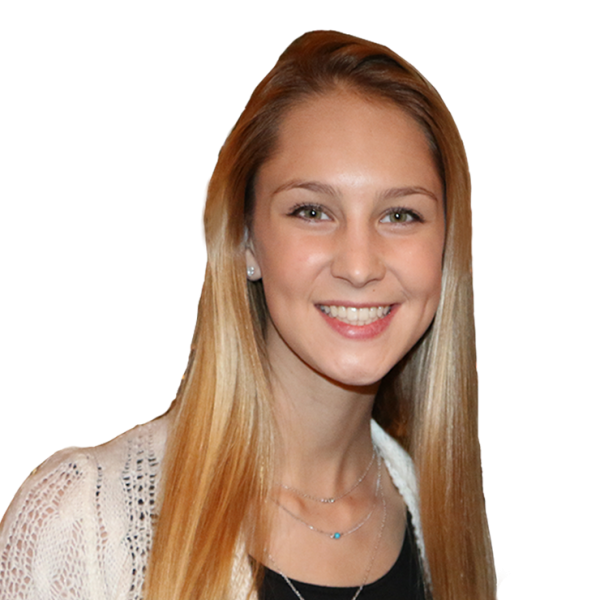 I play premiere soccer (left midfield), volunteer at a therapeutic horse riding center, play piano and violin, work as a social media intern, and study for SATs, ACTs, AP exams, and whatever sleep-reducing life-preparation I can add. That was high school in a nutshell. 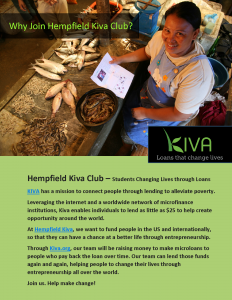 Now I am a freshman at Emory University and love being able to advise Hempfield Kiva Club. 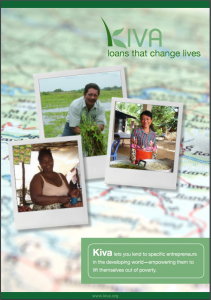 Please join me in lending through Kiva. I hope you will feel the same joy and satisfaction that you’ve touched someone today with your generosity. It is the best feeling.